These are my new go-to running errands and casual booties. 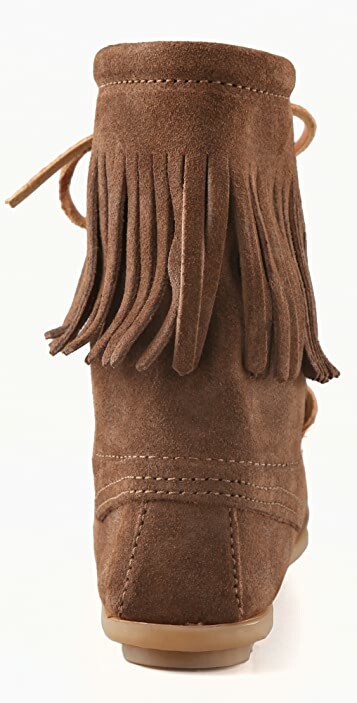 I have them in the brown color and black, and bought this pair for my sister also. They are beyond comfortable and I always get compliments on them. My friend ended up buying a pair also. 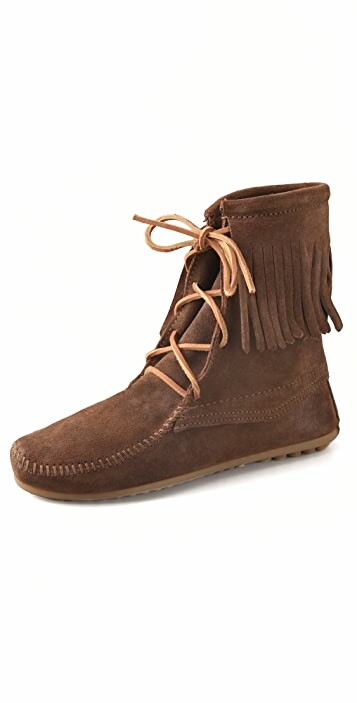 Really cannot beat the price for Minnetonka Mocs! I definitely suggest going down a size in the tramper (like Uggs), I am normally a size 7 and they were loose, heel slipping out... I guess it depends on preference but they definitely stretch out too. 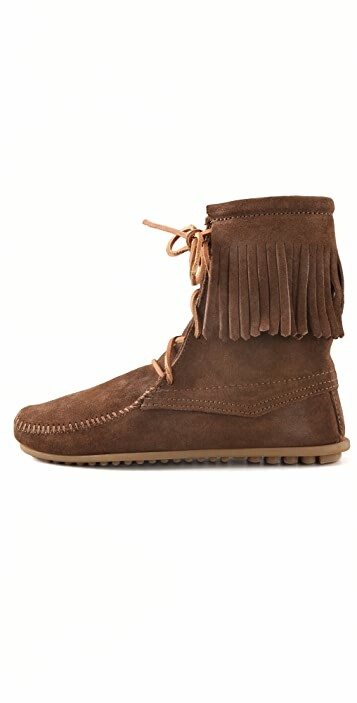 I ordered both the minnetonka brown and the dusty brown, I wanted to see them both before deciding. They are both pretty and the colors are very similar. I kept the slightly darker one, the "dusty". In the light of the summer day, they are only one shade darker. 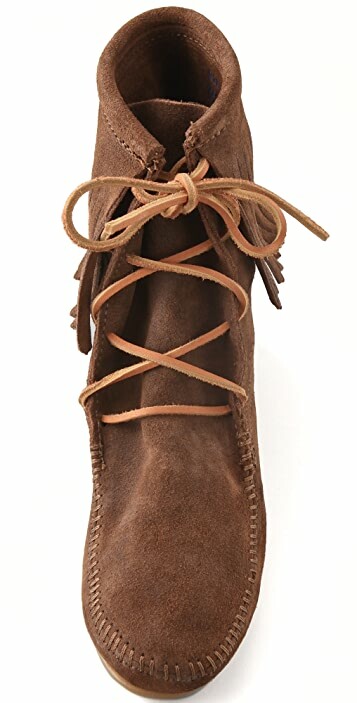 They are perfect for summer, I wear them without socks, with shorts or dresses, and I get alot of glances. As for the size: Im a true 8.5, and the 8 is perfect on me. If you are a true 8, then you should probably order both 7 and 8, before you decide.